Samsung Galaxy M10 has a 6.22-inch (1520 × 720 pixels) HD+ 19.5:9 TFT display powered by Octa-Core Exynos 7870 14nm processor It has a 13MP rear camera with LED flash, f/1.9 aperture, 5MP ultra-wide angle camera with f/2.2 aperture and 5MP front camera with f/2.0 aperture packed by 3400mAh Battery. It lacks a Fingerprint Scanner. priced at Rs. 7,990 for the 2GB RAM, 3GB RAM priced at Rs. 8,990. Asus Zenfone Max Pro M1 comes with Metal body, Fingerprint Scanner on the Rear. It has a 5.99-inch (2160×1080 pixels) Full HD+ 18:9 2.5D curved glass display powered by 1.8GHz Octa-Core Snapdragon 636 Processor. On Camera, it has a 13 Megapixel primary camera along with 5 Megapixel depth-sensing camera and 8MP front-facing camera both have LED Flash. Packed with a 5000mAh battery. Asus ZenFone Max M2 (ZB633KL) features a 6.3-inch (1520x720 Pixel) HD+ Display with 19:9 aspect ratio and a notch powered by Qualcomm Snapdragon 632 processor with 3GB RAM and 32GB of internal storage and 4GB RAM with 64GB storage. On Camera, it has a 13+2MP Dual Rear Camera and 8MP front camera packed by a 4000mAh battery. Honor 9N has a 5.84-inch FHD+ 19:9 display with a notch powered by Kirin 659 processor with 3GB RAM with 32GB Storage, 4GB RAM, and 64GB/128GB storage. On Camera, it has a has a 13-megapixel rear camera along with a 2-megapixel secondary camera for portrait shots and a 16-megapixel camera on the front. Packed with 3000mAh battery. Nokia 5.1 Plus features a 5.86-inch HD+ 2.5D curved glass display with 19:9 aspect ratio and a notch powered by a 2GHz Octa-Core SoC with 3GB of RAM and 32GB Storage. Packed with a 3060mAh battery. It has a 13+5MP Dual Rear Camera and 8MP front Camera. 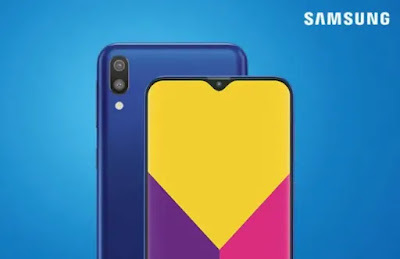 Realme 2 feature a 6.2-inch HD+ 19:9 aspect ratio display with a notch and 88% screen-to-body ratio powered by 1.8GHz Octa-Core Snapdragon 450 processor coupled with 3GB RAM with 32GB Storage and 4GB of RAM with 64GB of internal storage.On Camera, it has a 13-megapixel rear camera along with a secondary 2-megapixel camera for portrait shots and an 8-megapixel front camera. Packed with a 4230mAh battery. There is also Redmi Y2, Redmi 6 Pro with Snapdragon 625 Processor and Redmi 6 with Helio P22 Processor.